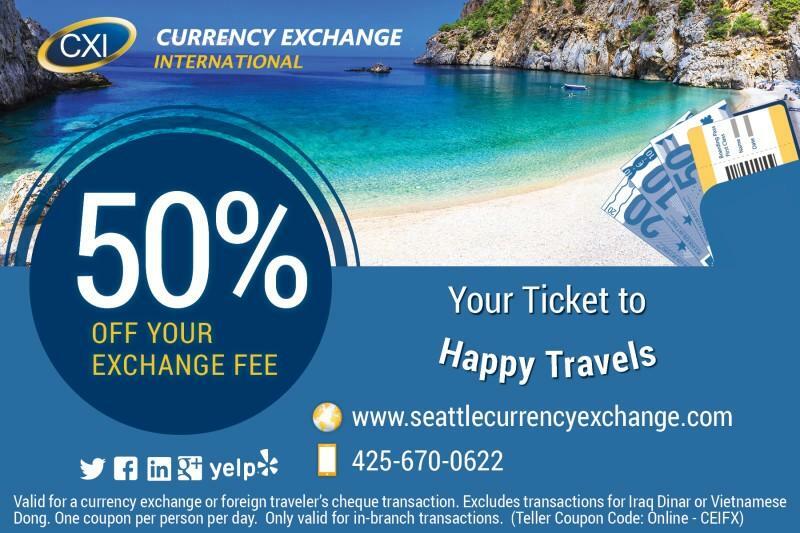 Redeemable for 50% off the exchange fee for any foreign currency or foreign traveler’s cheque transaction. Coupon must be present at time of transaction. One coupon per customer per day. Excludes the exchange of Iraq Dinar or Vietnamese Dong. Offer can’t be combined or stacked. Only valid for in-branch transactions.